Jewish scholars acknowledge that Saturday is not the ancient, original Sabbath of Scripture. Mark Twain, a famous novelist and humorist, once wryly observed: “It usually takes more than three weeks to prepare an impromptu speech.” Public speakers quickly learn that a lot of thought and preparation must go into any presentation or debate if it is to be persuasive. There are even certain types of arguments which public speakers are taught never to use because while they may sway emotions, they are not logical. Thus, ultimately, they will not convince anyone. It appeals to authority to prove its point. In this case, it assumes modern Jews are a trustworthy authority on when the true Sabbath occurs. It uses circular reasoning! In other words, it uses the point it is trying to prove as proof itself! A) The Jews worship on Saturday; therefore, B) Saturday is the Sabbath because, C) that is when the Jews worship. The truth is, regardless of what the average Jew believes or practices, Saturday is not the Sabbath of the Bible. Jewish scholars have never “lost” the Sabbath but they did deliberately and knowingly change the calendar by which the Sabbath was calculated. And it happened so long ago it is possible many Jews themselves are unaware of everything that was affected by this change of calendars. The Council of Nicea is of great significance in the history of Christianity because it was at that time heathenism invaded the Church and diluted the pure, apostolic faith of the early Christians. The Council of Nicea is significant in the history of Judaism as well because it was after this that intense persecution fell on all who wanted to cling to Biblical time-keeping. This declaration had far-reaching, catastrophic effects on the ancient method of time-keeping. Constantius, Constantine’s son, went still further. 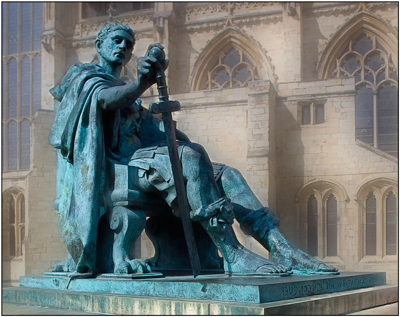 Constantine had outlawed the use of the Jewish calendar for Christian observances. Constantius forbade the use of it by the Jews, too. “Under the reign of Constantius (337-362) the persecutions of the Jews reached such a height that . . . the computation of the calendar [was] forbidden under pain of severe punishment.”3 The significance of this act cannot be overlooked. Under intense persecution, the Jews themselves modified their calculation of time. Patriarch Hillel II, the last president of the Sanhedrin, was himself responsible for a change that, ultimately, led to the acceptance of Saturday as the Sabbath. It cannot be emphasized enough: Jewish scholars are fully aware that the calendar they now use is different than the one established by Yahuwah, and confirmed by Moses at the Exodus. The historical documentation in this article is taken entirely from the writings or statements of the Jews themselves. They establish that not only is Saturday not the Sabbath of the Bible but they know it is not. Many people assume that because the papal Gregorian calendar today has a continuous weekly cycle of seven days each, the week in use today was somehow fitted to the Hebrew week of seven days. Therefore, they conclude, Saturday is the seventh-day Sabbath of Scripture. Such assumptions, however, do not understand the basic difference between a solar calendar format and how the Biblical luni-solar calendar worked. Jewish scholars know that the Sabbath as observed by the faithful from the days of the fourth century clear back to Creation, was not part of a continuous weekly cycle. Rather, months followed the phases of the moon. The weekly cycle itself restarted with each new moon. Therefore, the seventh-day Sabbath was not part of a continuous weekly cycle as is the modern Saturday. Jews today still calculate their annual religious festivals off a luni-solar method of time measurement. It is for this reason that Passover (Pascha) and Day of Atonement (Yom Kippur) drift from date to date on the continuous weekly cycle of the Gregorian calendar. Their weekly Sabbaths, however, no longer have any connection to the phases of the moon. 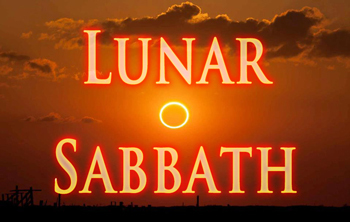 Many assume that because the Jews worship on Saturday, the Biblical weekly cycle was always continuous with only the annual festivals having a lunar connection. This is not an assumption shared by Jewish scholars. 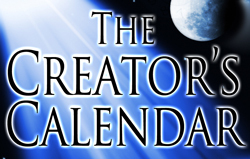 Occasionally a well-intentioned person will argue, “But if the calendar were off in the time of Yahushua, He would have corrected it!” This is true, which reveals that the calendar being used by the Israelites in the first century was still the calendar of Creation. At that time, the High Priest was in charge of the calendar. It was his responsibility to declare New Moons and when a thirteenth month needed to be intercalated. The high priests always came from the Sadducee class. This is significant. Although the Sadducees beliefs were not without error, they, like Yahushua, rejected the Pharisees’ oral law of man-made traditions. They maintained the Torah, the books of Moses, was the sole source of divine authority. Yahushua clearly saw that the “traditions of men” imposed by the Pharisees were an onerous burden, separating mankind from their Maker. He repeatedly and vehemently denounced the multitude of rules and traditions imposed by the Pharisees. These man-made regulations were a burden and a barrier to truth. Shortly before His death, Yahushua made one last attempt to reach the hearts of these hypocrites. His discourse, recorded in Matthew 23, is a heart-breaking attempt to turn hearts of stone to the truth. Ultimately, the Pharisees triumphed. The Sadducee class, who had been in charge of the Biblical calendar, ceased to exist after the destruction of Jerusalem. Talmudic tradition teaches that if one looses track of when the Sabbath occurs, all one has to do is worship on every seventh day. This is the rationale used to justify keeping Saturday as the seventh-day Sabbath. The argument that believers should worship on Saturday because the Jews do is based on the erroneous assumption that the Jews would never worship on anything but the true Sabbath. Statements from the Jews themselves prove this assumption is wrong. They did indeed change the Sabbath when they changed the calendar by which the Sabbath was calculated. All who desire to honor their Maker by obeying Him and worshipping on His Sabbath, will not look to the traditions of the Jews nor the calendar of the Catholics. Rather they will worship Him on the holy Sabbath as calculated by the original luni-solar calendar established at Creation. 1 Heinrich Graetz, History of the Jews, Vol. 2, p. 563, emphasis supplied. 2 Graetz, Vol. 2, pp. 563-564. 4 Graetz, Vol. 2, pp. 572-573, emphasis supplied. 5 "The Jewish Calendar and Holidays (incl. Sabbath): The Jewish Calendar: Changing the Calendar," http://www.torah.org, emphasis supplied. 6 Box 6, Folder 4; Grace Amadon Collection, (Collection 154), Center for Adventist Research, Andrews University, Berrien Springs, Michigan. 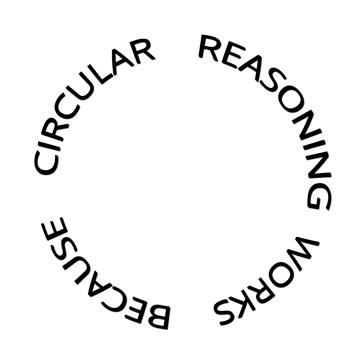 7 Graetz, Vol. 2, p. 571. 8 Universal Jewish Encyclopedia, "Holidays," p. 410. 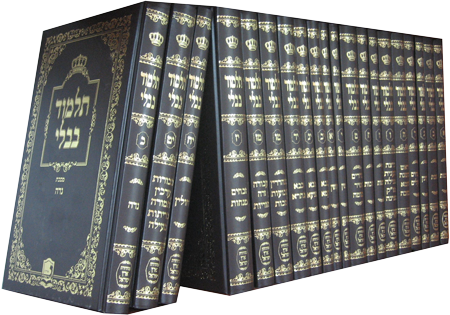 9 Universal Jewish Encyclopedia, Vol. X, "Week," p. 482. 10 "Pharisees,"The Jewish Encyclopedia, Vol. IX, (1901-1906 ed. ), p. 666. 11 Louis Finkelstein,The Pharisees: The Sociological Background of their Faith, (Philadelphia: The Jewish Publication Society of America, 1946), Vol. 1, Forward to first edition, p. XXI, emphasis supplied. 12 Louis Finkelstein, The Jews - Their History, Culture, and Religion, (Philadelphia: The Jewish Publication Society of America, 1949), Vol. 4, p. 1332.